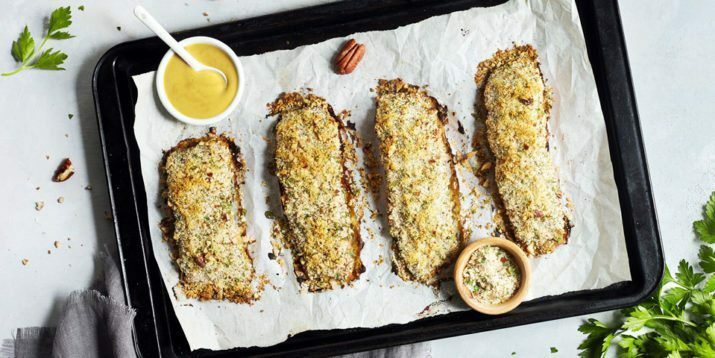 This elegant but easy Baked Salmon Dijon recipe is a perfect protein to serve mid-week. Since salmon defrosts and cooks quickly, it can be a lifesaver on days when you forgot to take meat out of the freezer before heading to work. The trick to cooking salmon is keeping it moist. 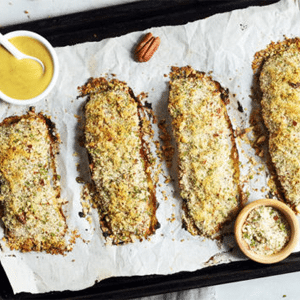 Creamy Dijon mustard seals in moisture and add a punch of flavor, while helping a crunchy layer of breading to stick to the fish. We upped the flavor of the baked-on crust (no frying needed!) by adding crushed pecans and fresh herbs. 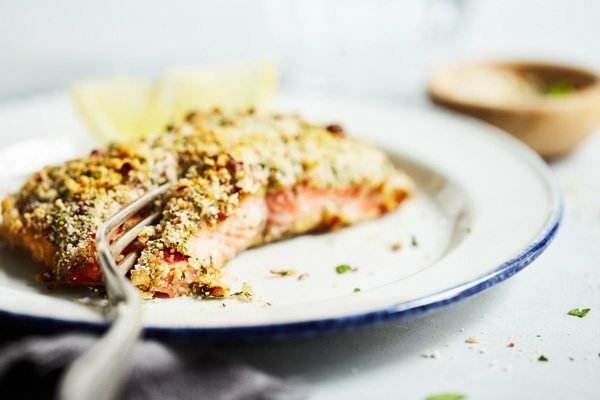 Since this baked salmon will cook quickly, pay close attention to it for the few minutes that it is in the oven. If you like your salmon on the rare side, you might want to remove it early, as it will continue to cook while it rests. Leftovers keep well in the fridge, and don’t even need to be reheated. Add extras to salads, use as a filling for sandwiches and wraps, or simply eat it with a side of roasted asparagus. Line sheet pan with parchment paper. Set aside. Combine mustard, oil, and honey in a medium bowl; mix well. Set aside. Combine bread crumbs, pecans, and parsley in a medium bowl. Season with salt and pepper, if desired; mix well. Set aside. 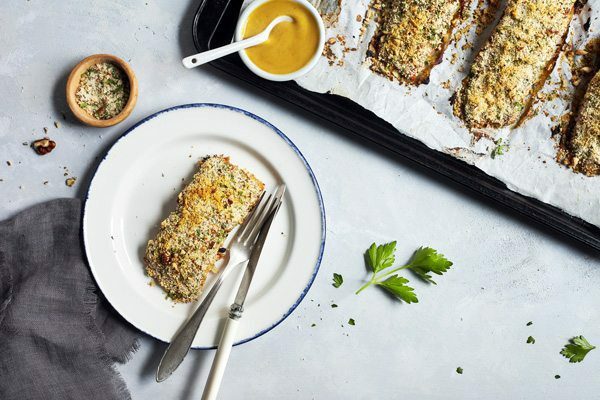 Brush both sides of each salmon fillet evenly with mustard mixture. Place on prepared pan. Coat evenly with bread crumb mixture. 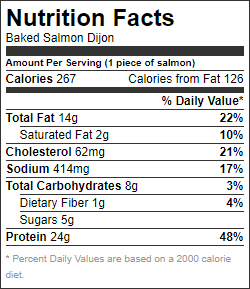 Bake for 12 to 15 minutes, or until salmon flakes easily when tested with a fork. Garnish with lemon, if desired.